Android Game: Falldown 3D is a simple yet addictive Time Killer,The 3D Android game features a clean and beautiful design with a gameplay that will impress people of all ages. Android Game: Hills of Glory 3D is a WW2 military themed tower defense game with good graphics. Android Game: My Paper Plane 2 is a top Free Flying Game available for Android,The game features really cool 3D graphics and a simple gameplay. Android Game: Big Sport Fishing 3D Lite is a fishing game for Android with realistic 3D graphics,If you like fishing then you'll definitely love this game. 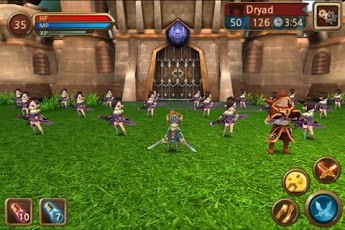 Android Game: Castle Master 3D is a Android RPG game with awesome graphics and gameplay that includes extreme action and epic battles.